Deuterium and tritium, two isotopes of hydrogen have, for decades, been considered the fuels for the first generation of fusion reactors. Deuterium is practically inexhaustible due to its presence in our oceans. When it comes to the heavier tritium, the story differs considerably. Tritium is radioactive, decaying with a half-life of 12.3 years, which explains its almost natural lack of existence. In fact, the natural tritium abundance is only around 3.5 kg. This means we have a problem. How are we able to harness energy created by fusion reactions if one of the fuels (that is to say, 50% of the required reactants) is basically inexistent? The simple answer is: we need to produce our own tritium inside the reactor in the so-called Breeding Blanket (BB). The BB is comprised of lithium-based materials and covers the inner wall of the reactor vessel to guarantee tritium production. The reactions between the fusion neutrons produced inside the vessel and the lithium atoms present in the BB generate atomic tritium (Picture 1). Then, another important question arises: how do we process the new-born tritium? As you can imagine, there are a collection of other systems responsible for extracting, processing, measuring and injecting the fresh tritium inside the machine. The designs of these systems are largely determined by the special properties of tritium. info iconTritium (also called hydrogen-3) is a radioactive isotope of hydrogen, and has one proton and two neutrons. It can be produced using lithium to absorb the energetic neutrons created in both fission and fusion reactors. Tritium has a rate of decay of about 5% per year. It radiates rather weakly externally, however it is hazardous if ingested, inhaled, or absorbed through the skin. It can react in order to create dangerous radioactive “tritiated” water, which must be controlled to prevent it from contaminating local groundwater. HOW DO WE HANDLE TRITIUM? Tritium behaves in a similar way to hydrogen: it easily permeates metals (especially if hot!) and reacts explosively with oxygen. However, tritium decays, as opposed to hydrogen. In addition, tritium will readily swap with hydrogen if both meet on the way (the so-called isotopic exchange). This is of particular concern since tritium poses a serious threat to human beings if it replaces hydrogen in our biological systems. Therefore, it is very important to confine tritium within carefully chosen materials and conditions. Polymers, for example, which are present in commercial pumps or used as sealant materials, are not an option. The hydrogen-tritium replacement would considerably alter the properties of the material. Therefore, a rule of thumb among tritium fellows is: no use of polymers, just inorganic/metal substances. However, as mentioned above, an additional challenge arises when metallic ducts contain tritium, as it can readily permeate them. A good trick is to constantly maintain low tritium partial pressures at low temperatures (for instance, around 20°C) in order to control permeation. If this is not possible, it is necessary to implement tritium permeation barriers. If this is still not sufficient, a glovebox surrounding the tubes containing tritium must be considered. In a fusion reactor, most of the systems processing the fusion fuels will be hosted in the so-called Tritium Plant (TP). Here, the different isotopes can be isolated by detritiation of gas streams, so that deuterium and tritium can again be fuelled into the reactor. ITER, now under construction in France, will have a 35 m tall x 80 m long x 25 m wide TP building. These dimensions are necessary to house the systems responsible for tritium recovery, isotope separation, deuterium-tritium fuel storage and delivery. However, it should be noted that ITER will only test small mock-ups of tritium breeding elements, with an estimated daily production less than 0.4 g. In contrast, the European DEMO, designed to demonstrate tritium self-sufficiency at a reactor scale, may reach a production as high as 250 g/day. Thus, in view of DEMO development, many European labs are studying and designing different tritium breeding, processing and extraction systems. All in all, these collaborative efforts are necessary to ensure that tritium, along with deuterium, will be the fuel of commercial fusion power plants. Major tritium laboratories, such as the one at the Karlsruhe Institute of Technology, operate under an air pressure cascade. In this situation, the pressure inside the lab is slightly lower than the pressure outside in order to prevent tritium being released into the environment. Gloveboxes, which host the tritium processing lines, offer another level of static confinement with an interior pressure slightly lower than that of the lab. The inert atmosphere of these boxes is constantly refreshed providing an additional dynamic confinement. In Picture 2, you can see a picture of my colleague and me working with a glovebox. The box contains the components which I require in order to obtain my PhD on tritium separation technologies in view of DEMO. 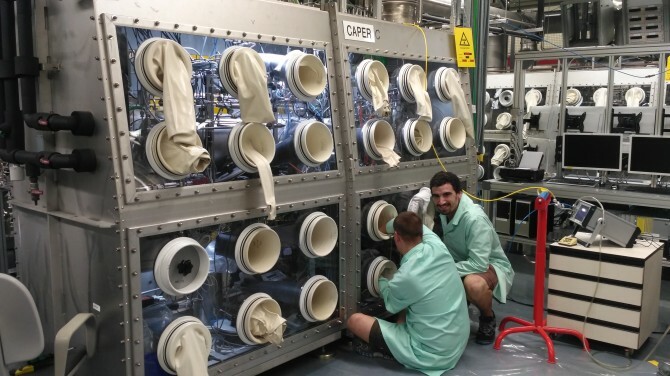 Picture 2: Rodrigo Antunes (right) and his colleague working in the “CAPER C” glovebox. This glovebox hosts the experimental setup to separate tritium species from helium with zeolite membranes, which is the core of my PhD. For many years, I have been interested in the challenges our society will need to face to solve our ever increasing energy demands. Nuclear fusion is a promising energy source to which I have been contributing over recent years. Therefore, together with young fusion scientists and engineers, I am glad to take part in this special issue of Fusion in Europe. 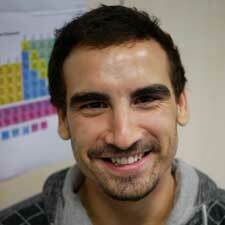 I am currently doing my doctoral research at the tritium laboratory in Karlsruhe.